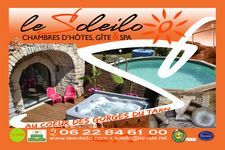 Charm, design & tradition, wellness, pool, bedroom with jacuzzi: the Soleilo, bed and breakfast and cottage is an invitation to the holiday. 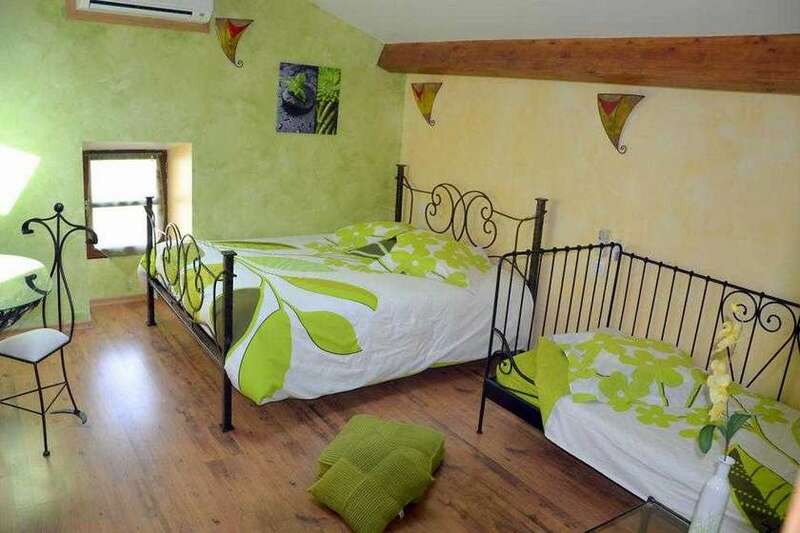 Harmony of colours, equipment modern and attention to detail, Isabelle and Laurent welcome you in their building of the 18th century character, full of charm in the heart of the Gorges of the Tarn, at 20 minutes from the Millau Viaduct and Holy Enimie. 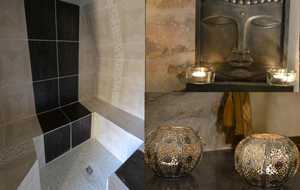 Book our suite prestige: room with private jacuzzi and hammam for an unusual night two lovers. 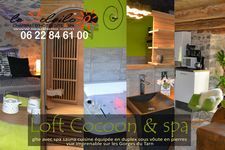 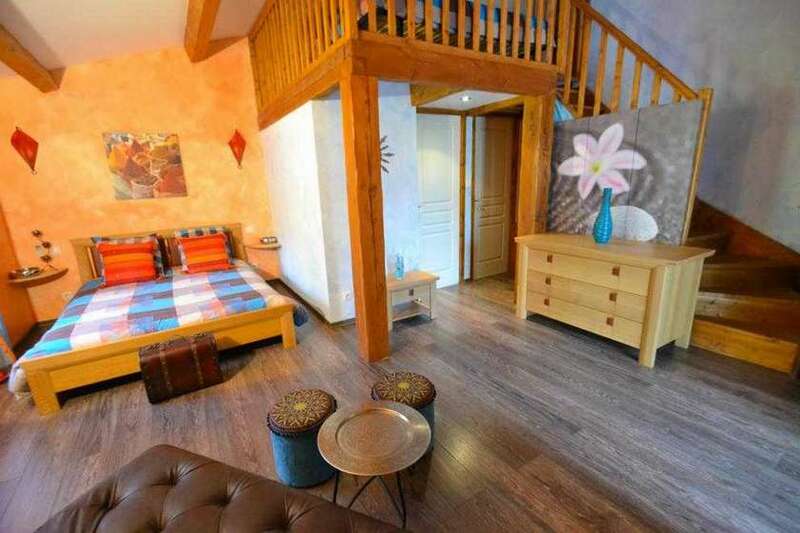 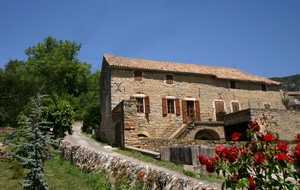 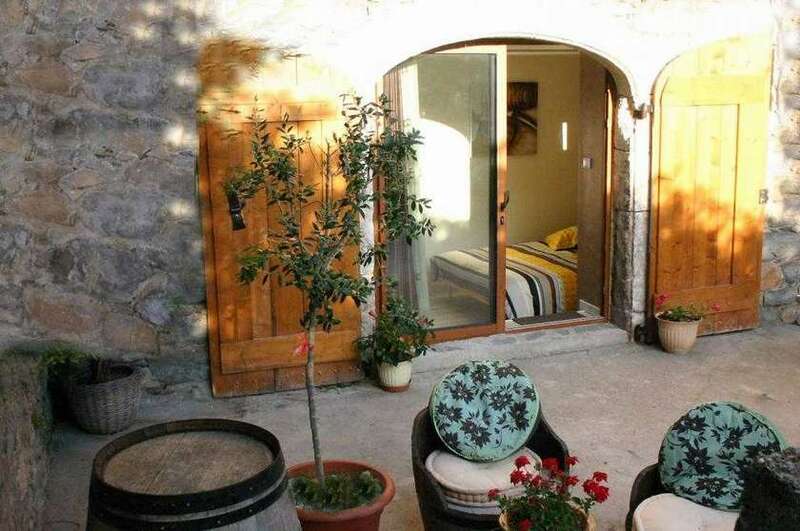 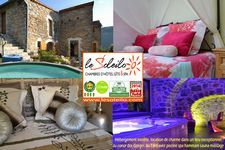 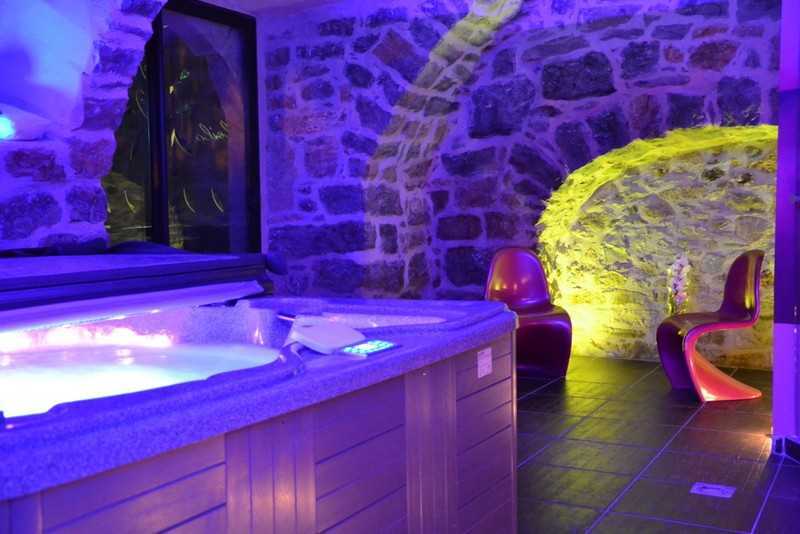 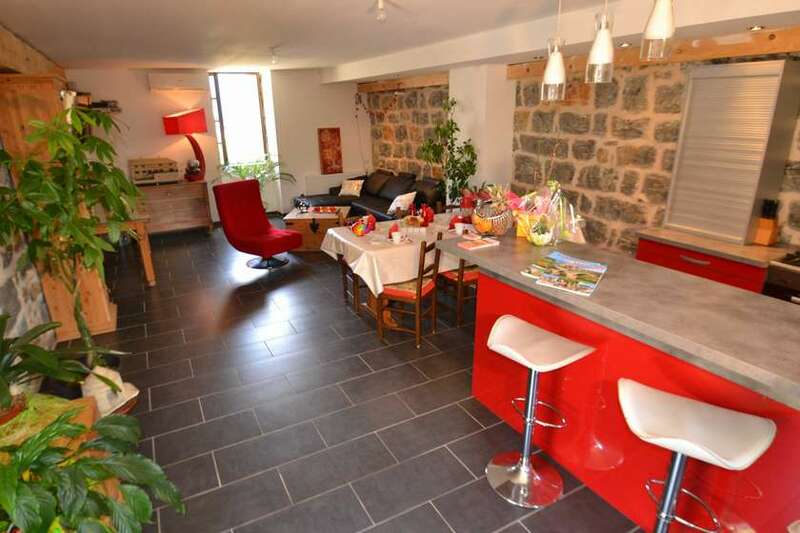 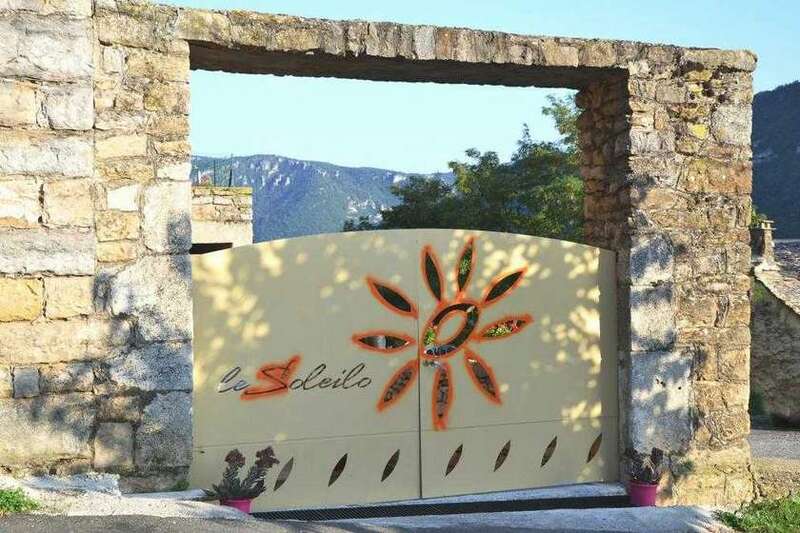 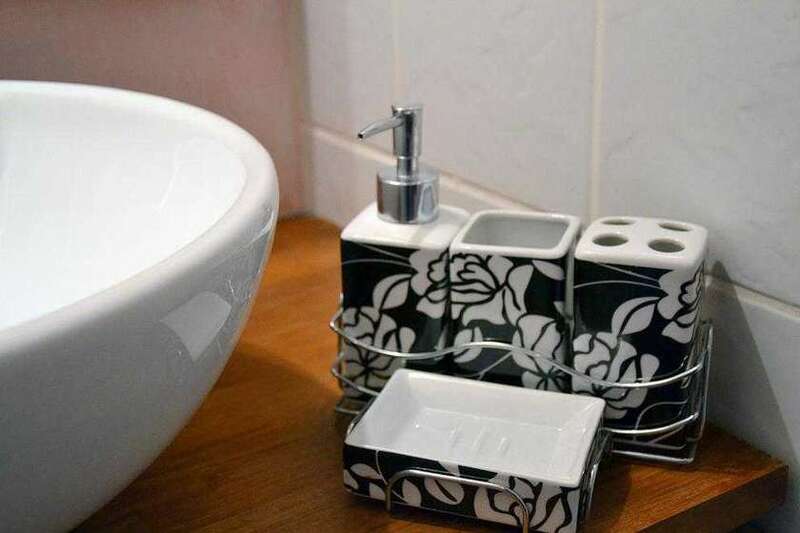 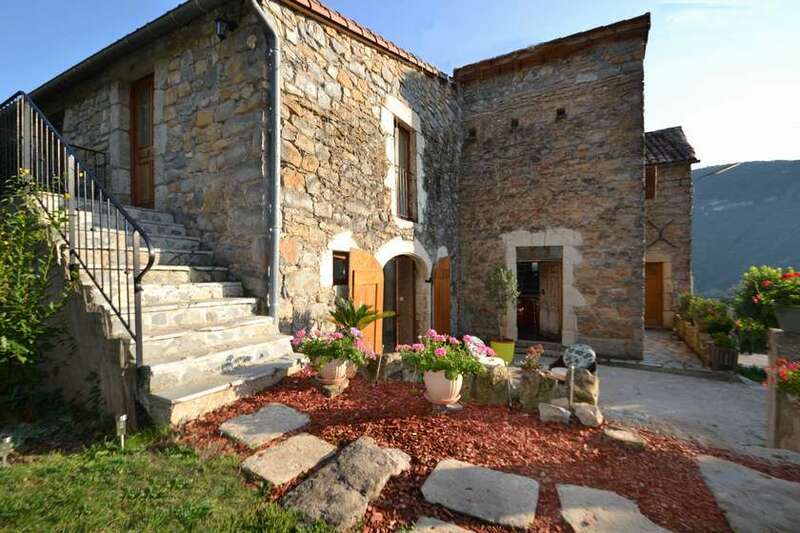 The Spa, holiday in Aveyron-Lozère accommodation and guest house Occitania ranked 4 ears is a place where you will spend wonderful moments: authentic atmosphere warm, refined, modern and design in a setting of old stones for an unforgettable stopover. 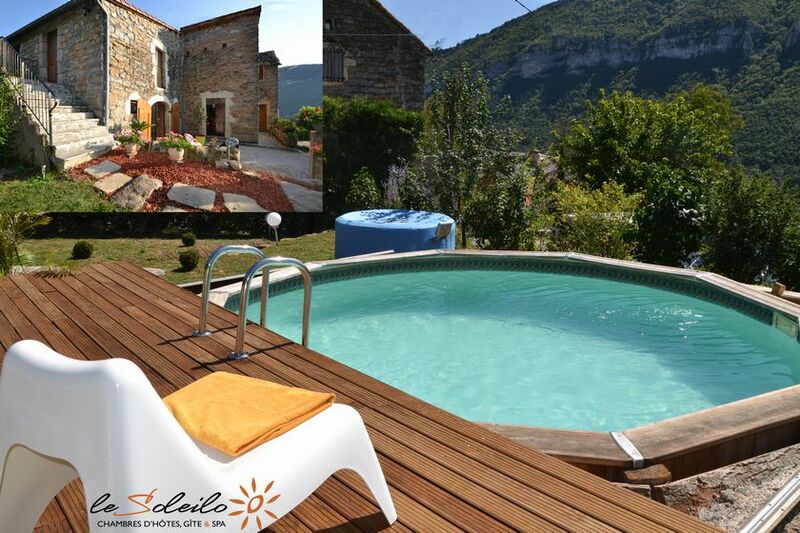 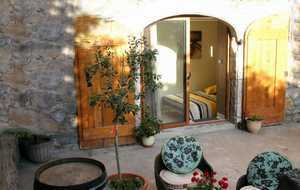 Quiet, you can enjoy nature and the garden with pool, an outdoor Jacuzzi and a kitchen equipped summer a plancha. 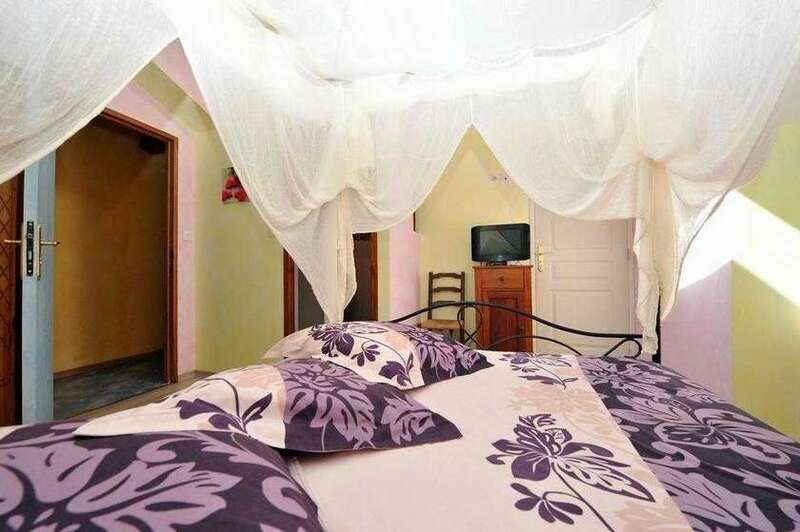 Our : pool, spa, jacuzzi, hammam, massage, air conditioning, bed 160, private parking, free wifi, bedroom with jacuzzi, family bedroom, rental canoe, kayak, River, conviviality and relaxation assured access. 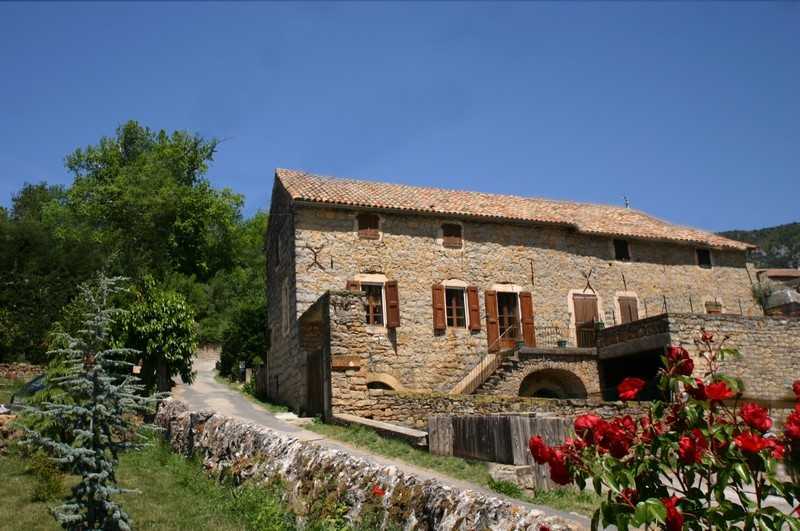 A grand and ideal site for a weekend or holiday family, sports or for a stopover step case. 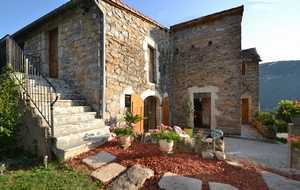 Possibility to rent in house capacity 8 to 15 people. 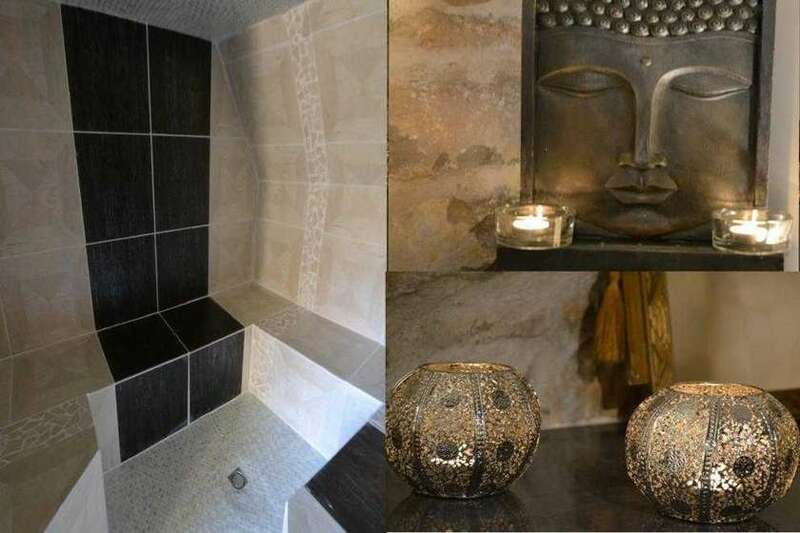 The originality of the prestige suite Soleil Eau & spa is its private SPA and TURKISH BATH with natural stones, majestic moments of relaxation. 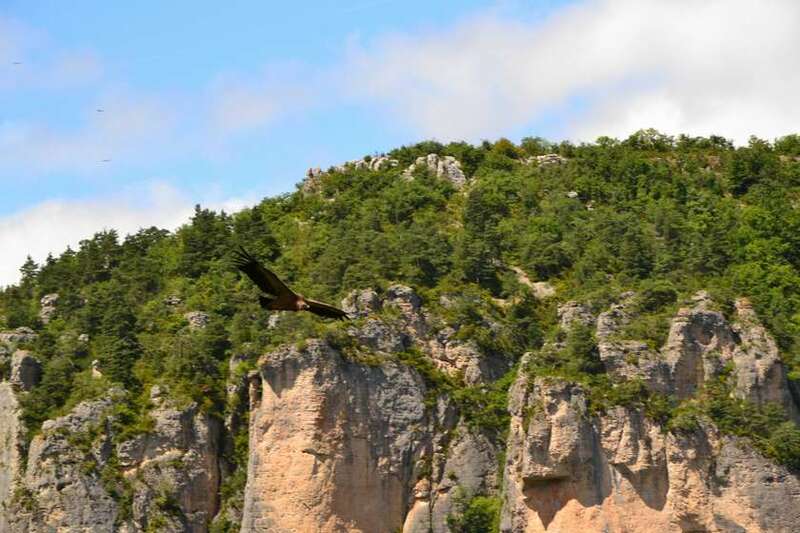 Facing the panoramic view of the Gorges du Tarn, your suite is opening of a private terrace, so you can relax you for one or more nights. 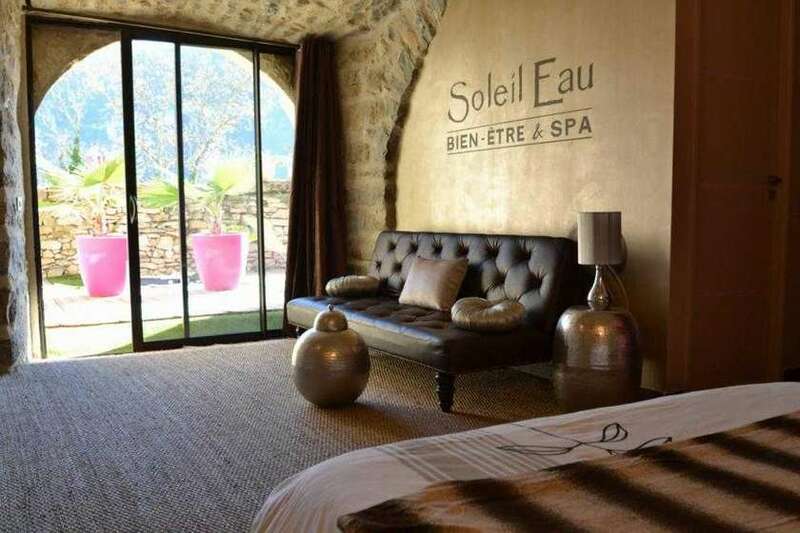 For you the modern and design comfort of the following room Soleil Eau & spa : light therapy, bluetooth touch pad station, 2 TV (56 and 107 cm), shower with light jets. 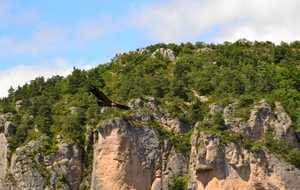 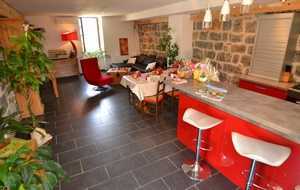 We also offer wellness packages with massages (surcharge) and land to enjoy the regional Aveyron and Lozère trays. 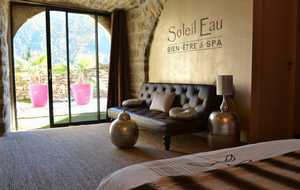 The Soleilo offers you its premium room : room with private spa and hammam. 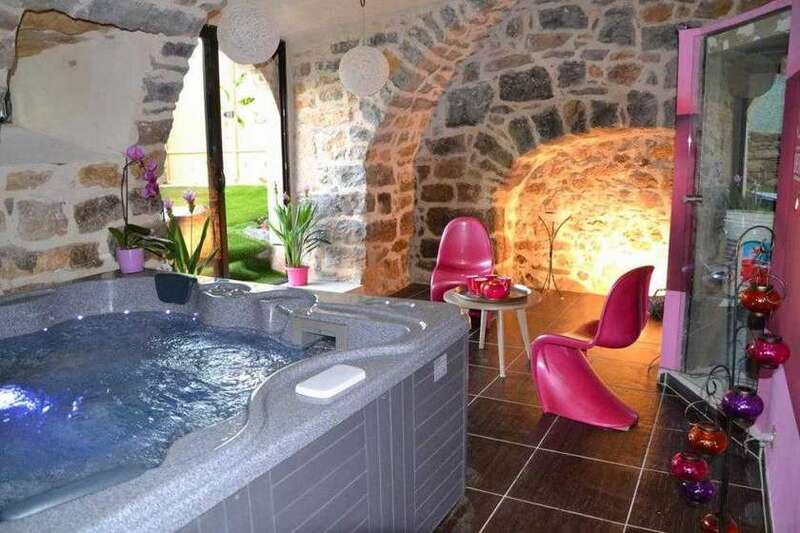 A room installed in an arch stone for an unusual night. 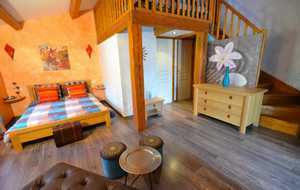 This suite is tastefully decorated offering relaxation in a warm atmosphere with its fresco and his games of lights. 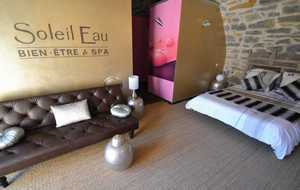 Music, cocoon atmosphere subdued for a romantic night for two, to celebrate a birthday, make a statement of marriage or just simply relax. 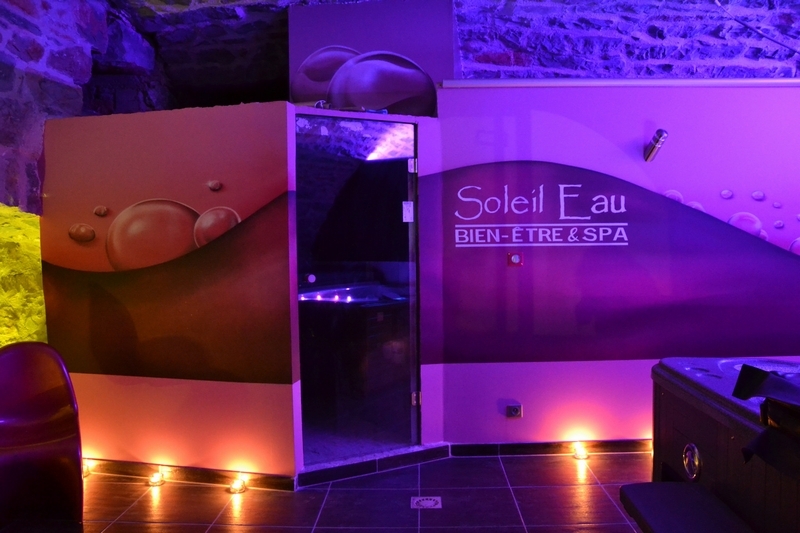 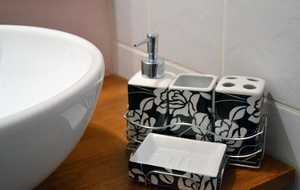 Possibility of relaxing massages and regional trays. The COCOON & SPA Loft is a unusual and original place ideal for lovers. 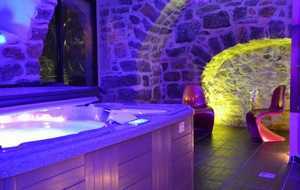 More than a room with jacuzzi, it's a sumptuous LOFT offering comfort and relaxation for a sweet moment in head to head. 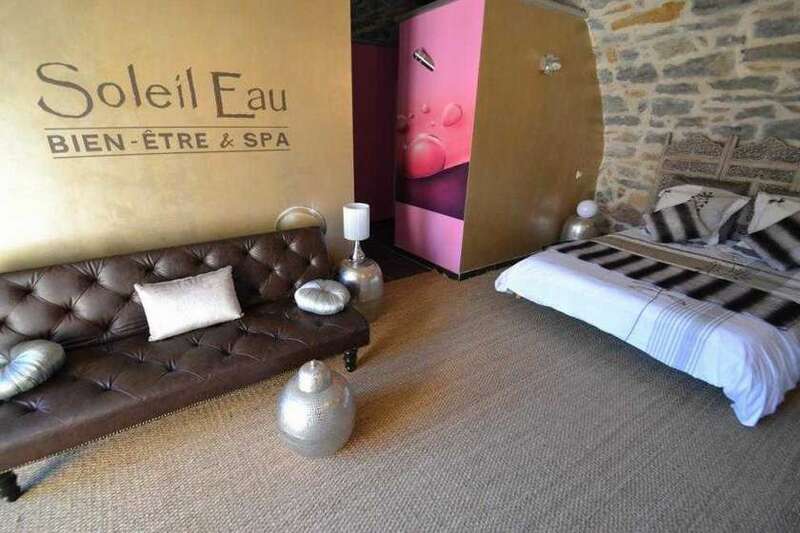 You will enjoy its EXCLUSIVE SPA and SAUNA, but also his FURNITURE DESIGN... Holiday rental in South Aveyron, bed and breakfast and cottage with private spa and pool full of charm, combining authenticity and modernity to relax in the medieval village of Mostuejouls at the heart of the Gorges of the Tarn.